Social media is a particularly potent marketing weapon in China, with more than 80% of internet users accessing social networks regularly – around 60% of WeChat users access the platform more than ten times a day. 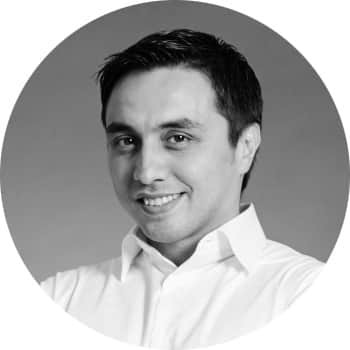 But it is not just the high user engagement that makes social media such a unique opportunity for brands – it is also the unfettered functionality of the major platforms, often called “super apps”. Two of the biggest platforms, WeChat and Weibo, for example, both have payment solutions, allowing users to make purchases without ever leaving the app, while WeChat also gives brands the ability to build “mini programs” – effectively apps within the app, allowing brands to build fully fledged online stores. This means Chinese social networks can be harnessed to drive users all the way through to conversion. Chinese New Year is an especially important time for brands to engage on social media, as users are very active during this time, sending holiday greetings and electronic red packets to their loved ones; researching gifts, restaurants and destinations for family celebrations; posting photos and videos of what they’re up to; and checking in with friends and playing games during their downtime at home or while travelling. This year, 229.7 billion text messages, 2.8 billion posts and 17.5 billion minutes’ worth of voice recordings were sent via WeChat, while 768 million people sent or received e-hongbaos on the platform during the Chinese New Year period (15–21 February). Don’t miss out on this unprecedented opportunity to build brand awareness and engagement through digital marketing. Here are 5 ways to leverage the social media buzz around Chinese New Year 2019. According to social listening data, some of the most popular topics around this time are traditions and activities (such as reunion dinners, exchanging red packets and watching lion dances), food (like dumplings, fruit, candy and longevity noodles) and horoscopes. Travel has also recently become a trending topic during this time, with more people opting to take leisure trips during the festive season. Getting involved in these conversations, whether it’s through entertaining, shareable or interactive content, is a great way to take advantage of a captive audience and build brand awareness. Ikea, for example, launched a Chinese New Year social media campaign in 2014 that allowed people to key in their birth date or click on their zodiac sign in order to generate personalised horoscopes – and product recommendations. This cleverly tapped into the peaking interest in horoscopes with fun, interactive and on-brand content. User-generated content is extremely powerful, not just because it encourages users to engage directly with your brand, but also because users are far more likely to share content that they have created, in effect acting as advocates for your brand as well. 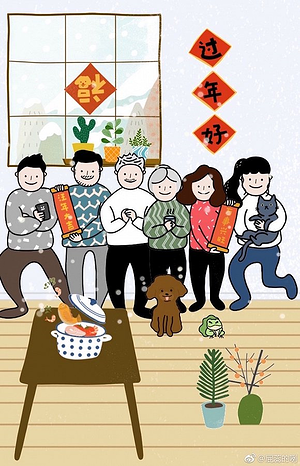 Lifestyle brand Pupupula did this to great effect in the lead-up to Chinese New Year 2018, creating a WeChat mini program that allowed users to create their own family portraits using stickers (an incredibly popular feature on WeChat). These weren’t just super fun to put together, but also infinitely shareable, while also tapping into the family values that are such an important part of the holiday. The success of the campaign surprised even the developers ­– by 16 February, the page had been visited by 5.9 million unique visitors. When it comes to cutting through the noise, it pays to think outside the box and employ a bit of humour. Durex is the master of this, regularly engaging in clever cross-branding that is funny, cheeky, and, again, super shareable – no mean feat, considering their product is one that most people would prefer not to discuss in polite conversation. 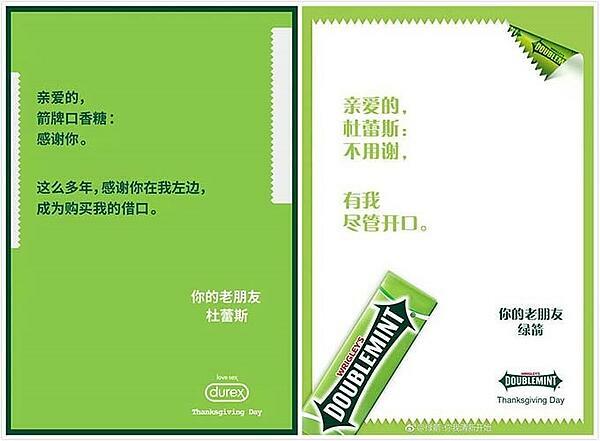 For example, this Thanksgiving post, where Durex thanked Wrigley for giving people a helpful excuse to buy condoms (as gum is also usually located at the cash register), was shared 16,000 times and received 4,200 comments. Durex struck again during Chinese New Year 2018 with this tongue-in-cheek post that played on the character 犬, which means “dog”, for the Year of the Dog, but can also mean “big”, for … well, you know. Of the billions of posts, text messages and voice recordings sent during the festive season, we’re willing to bet a sizeable percentage of them are holiday greetings and well-wishes for the new year. Giving users a fun way to send and receive greetings, therefore, is another good way to engage with users on a more personal level and garner some goodwill for your brand while you’re at it. 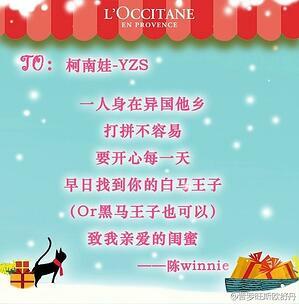 L’Occitane, for example, ran a competition on WeChat and Weibo before Chinese New Year 2014, asking their followers to nominate other users to whom they wanted to send a New Year greeting. The fortunate few who were selected would then receive a public greeting from L’Occitane broadcast on WeChat or Weibo at 20.14pm, and both the nominator and the nominee would receive gifts. 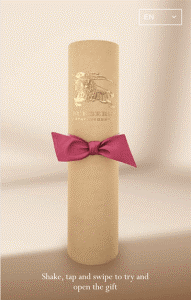 In 2016, Burberry ran a similar campaign, sending users this image of a cylindrical box with the instructions to “Shake, tap, and swipe to try and open the gift” (and, let’s be honest – who could resist?). 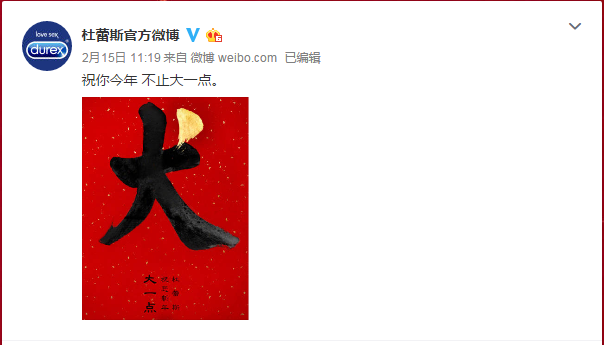 Upon “opening” the gift, users were met with a charming greeting, wishing then a happy and prosperous new year. Users were then given the option to send a personalised greeting themselves, replete with an iconic Burberry cashmere scarf of their choosing. And it didn’t end there. After sending their greeting, users were then directed to Burberry’s page where they were able to shop their Chinese New Year special collection. This campaign was a highly effective way of funnelling customers to their online store, driving sales. Burberry even managed to drive offline foot traffic too, by giving participants the chance to win limited-edition envelopes only available in stores. Key opinion leaders, or KOLs, wield a great deal of influence on social media, and can therefore be another good way to slice through the chatter and get people’s attention. 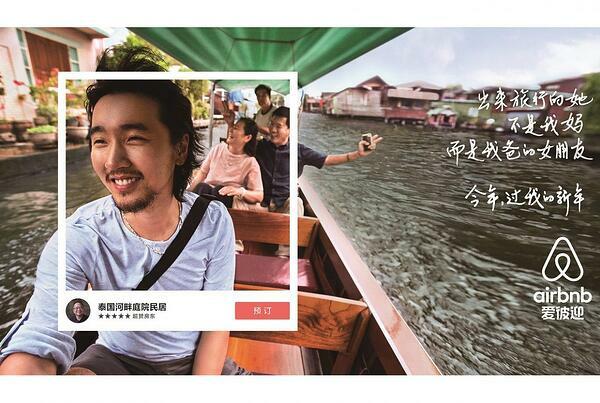 Airbnb, for example, launched a Chinese New Year marketing campaign this year called “Celebrate it my way”, where they enlisted six Chinese celebrities and KOLs to invite their parents to travel overseas with them, and share their experiences on Airbnb’s WeChat account. This campaign was about far more than reuniting families – it also commented on the unique social pressures millennials are faced with when they return to the ancestral home, particularly the pressure to “settle down”. This no doubt struck a chord with young users, many of whom are delaying or foregoing marriage in order to retain their independence and freedom – and the fact that this issue was being discussed by influential celebrities and KOLs would have made the campaign even more poignant. 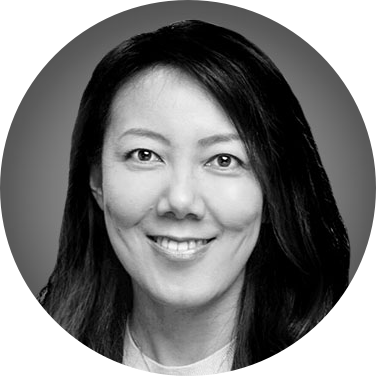 Chinese New Year 2019 represents a fantastic opportunity to reach a highly attentive audience and engage in ways that are fun, interactive, and memorable. And with a little creativity, you might just have a viral sensation on your hands! To help you get ready for Chinese New Year 2019, we’ve put together a cheat sheet with insider tips for planning a successful campaign. Download it now!